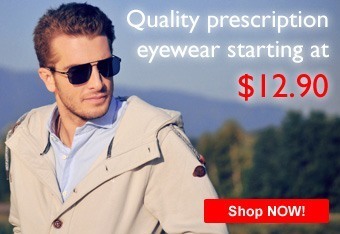 Visio-Rx offers progressive lenses starting at only $29 for 1.57 index freeform progressive lenses. Don't forget that anti-glare, anti-scratch and UV protection are always included in the lens price as well. Click the button below to start shopping for progressive ready frames! Video: Progressives in a nutshell. Progressive lenses are multifocal lenses without the obvious dividing line that bifocals and trifocals have. They provide correction for distance, intermediate and near vision, and are produced in such a way that the transition is much smoother than with bifocal glasses or trifocal glasses. Progressive lenses provide a superior vision correction experience, and come in many varieties. Back in the late 1970’s, the first progressive lenses were introduced. Even though these were an improvement on the bi- and trifocal lens types, the first progressive lenses were far from optimal. But the lens manufacturers started on a path of constant development and improvement. Today’s best progressive lenses make the original designs pale in comparison. We will take the approximate time of introduction of the progressive lens designs as a guide towards understanding the development of this type of lens. Queen’s pop music, Rubik’s Cube, mullets, leg warmers and shoulder pads: these are just a few things that bring back the 80’s. The introduction of an improved version of the progressive lens also happened in this unforgettable decade. The new version wasn’t great, but it was a bit better than the lenses that were introduced a few years earlier. These progressive lenses are called "RX" lenses. The power distribution sits on the front side of the lens. The Gulf War, the collapse of the Soviet Union, Spice Girls, the Fresh Prince of Bel-Air, Super Nintendo and President Clinton: an exciting start to the 1990’s. 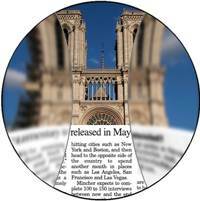 Lens manufacturers keep introducing improved designs of the progressive lens. By the early 1990’s it has actually become a decent lens, though it’s still of the "RX" design. The zone for distance vision has been significantly enlarged, although the intermediate and near segment still have much room for improvement. Around the turn of the millennium, a breakthrough is achieved in progressive lens manufacturing. An entirely new machining technique is developed by German machine builders, which provides lens designers and producers with infinite freedom to work on advanced designs. Hence the term ‘freeform’ lens design and manufacturing. The power of the lens is now machined on the back side of the lens (hence, these lenses are also referred to as ‘back-side progressives’). This has the advantage of bringing the power distribution closer to the eye. With an average distance between lens and eye of 12mm and an average lens thickness of 2mm, this alone results in a 17% wider field of vision. This is known as the "keyhole effect": by bringing the prescription closer to your eye, the free form lens allows you to see much more through the keyhole than previously possible with the RX progressives. The advent of the freeform (back-side) progressives is a major step forward in improving the user experience of progressive lenses. Especially the wider fields of vision and reduced peripheral distortion (also known as the "swim effect") are much appreciated. Around 2005, the fully personalized freeform progressive lenses are introduced. This permits the preparation of lenses that are fully tailored to the user and the specific frame in which the lenses are mounted. Now parameters such as tilt of the frame, wrap of the frame and distance between eye and lens are all taken into account to provide a truly personalized solution to the customer. What Do Shops Nowadays Offer? When visiting a shop to buy a progressive lens, one is often presented with a chart showing 4 types of progressives. These can be roughly classified as we have done above. The cheapest lenses are of a design that today we would consider inferior. Shops do not like to sell this, as customers do not tend to be satisfied with it. 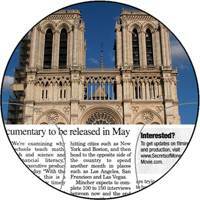 But it serves to provide advice to the customer to select a better (and more expensive) lens. The customer feels better, as he has not bought the cheapest progressive available for his valued eyes. Video: 4 different types of progressives. Freeform lenses tend to be very expensive in shops. The production cost of a freeform lens is higher than that of a traditional progressive lens. The machines are more complicated, efficiency is a little less, and the R&D invested in the design of the freeform technology needs to be paid for, among other things. In combination with the mark-ups in the distribution chain and the air of exclusivity still surrounding these lenses, the freeform progressives are positioned as a premium offering. In our opinion, the 1980’s and 1990's progressive designs are so inferior that we do not even offer these on our website. Video: the benefits of fully personalized lenses and their higher price point explained. Our budget progressive is a standard 2000's design freeform lens. For a little extra, you can upgrade to a premium fully personalized lens. When comparing our progressive lens prices to what you would pay at shops, then it is easy to see that you can save hundreds of dollars on just one pair of glasses. So now it becomes affordable to have extra pair of progressive glasses as a back-up, whether for fashion or as sunglasses. Fitting height is an important measurement that other web shops ignore. An important measurement when buying progressive glasses is the vertical fitting height. Visio-Rx is the only website in the world that has invested in the development of software tools to correctly measure your vertical fitting height. What is the vertical fitting height? If in the past when you have bought your eyewear from a good dispensing optician, you will have been asked to wear the frame, and with a thin marker the optician would have made a small mark on the demo lenses in the frame. This indicates the vertical position of your pupil for your chosen frame. With this measurement on the demo lenses, the optician can measure the fitting height (distance from the bottom of the lens to your pupil location) and provide this to the lab that mounts your lenses in the frame. It is easy to understand why this measurement is easy to take in person in a shop. Video: Visio-Rx is the only store on the web that offers specialized sports progressive designs. So rather than owning just one "all-around" pair, our customers can own additional pairs which provide optimal vision for various activities. A lens is a small piece of material. Compromises need to be made regarding the function of each part of the lens. So it is only natural that with the new freeform technique it is possible to prepare the lens in such a way that for each activity a lens is created that provides optimal wearer comfort.